Marc Tyler Nobleman's meticulously researched picture book biography, Bill the Boy Wonder, brings to life Bill Finger, the relatively unknown co-creator of Batman. 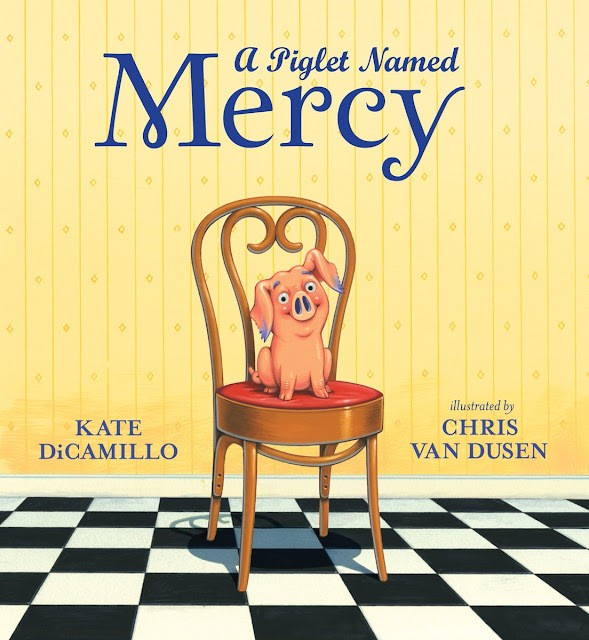 I'm looking forward to booktalking it to my fourth and fifth graders during the first week of school. Why? Because I predict it will lead to thoughtful discussions about honesty and the characteristics of a stellar nonfiction text. It is a fine addition to every collection. I am thrilled to welcome Marc to Watch. Connect. Read. to discuss Bill the Boy Wonder. Thank you, Marc! *Scenario: Cindy, a fourth grader who comes to the library every week to check out biographies and graphic novels, is browsing near the 741.5 section. Mr. Schwartz, an enthusiastic librarian, rushes over to tell her about Bill the Boy Wonder. Marc T. Nobleman: First I hope to convince Mr. Schwartz to reshelve the book with the other picture book biographies! I explain why here and here. What do you think? Mr. Schu: What do you hope Mr. Schwartz tells Cindy about your well-crafted and thoroughly researched book? Marc T. Nobleman: I hope Mr. Schwartz tells Cindy that every character we love was once just someone’s idea. Someone who was not famous, not rich. Someone who was just sitting in his/her bedroom or kitchen when inspiration struck. Someone…who could be anyone. Including Cindy. And I hope Mr. Schwartz tells Cindy that sometimes, but hopefully not too often, one person takes credit for the idea of another person. That is what happened to a brilliant writer named Bill Finger. If not for him, we would not have Batman (or Robin, or Joker, or Catwoman, or the Batmobile…). But a cartoonist named Bob Kane took all the credit. My book reveals why Bob did this, why Bill accepted this, and what might happen next. It is also a reminder that we should not let the same thing happen to us. Mr. Schu: How are readers responding to Bill Finger’s story? Marc T. Nobleman: Readers of all ages are humbling me with their enthusiasm and gratitude. Everyone knows Batman. Some know the line “Batman created by Bob Kane.” Fewer know the name Bill Finger. But those who do are thrilled that someone is finally taking steps to preserve his memory in a more permanent way. And those who don’t are shocked to learn what happened to him. Reviews have also been most kind. A lot of work (five years) went into this book and I’m thrilled that people notice that! Mr. Schu: My fourth-and fifth- grade students had many positive things to say about Bill the Boy Wonder’s book trailer. Why did you create a book trailer? Marc T. Nobleman: That’s so nice to hear, thank you. I made the trailer for the same reason most of us, I suppose, make book trailers: to get people excited about the book. However, I had a self-imposed mission: make it fun or don’t make it at all. Mr. Schu: Thank you for including the perfect amount of back matter. Why do you think it is important for writers of nonfiction for children to include source notes, a bibliography, and an author’s note? Marc T. Nobleman: I felt an obligation! This story has such a high –profile angle (Batman) but a mystery backstory, and I did more research on Bill Finger than anyone previously, so I was compelled to share as much as possible. Perhaps we should rename “back matter”—that term implies skippability. In my case, I tell a significant part of the story in the back matter (and not just the author’s note). I feel including a meaty back matter section reinforces the fact that a lot of work can go into even the shortest books. Plus some author’s notes read like detective stories…and we all love those. …as essential as eating, sleeping, and exercising. But easier than all of them when on the subway. …the bronze paperweight visible on Bill’s desk closer to the end of the book…or the twist related to the note in Bill’s handwriting reprinted at the end of the book…but how could you know? Marc Tyler Nobleman is the author of Boys of Steel: The Creators of Superman, which received multiple starred reviews and was named an American Library Association Notable Book. Due to discoveries Marc made in his research, the book also landed on the front page of USA Today. 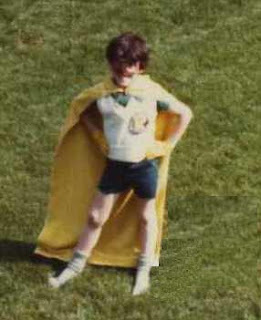 Marc never dressed as Batman for Halloween, but he was Robin twice (and Superman three times). Today he lives with his family in Maryland. He reveals his research secrets and promotional gambles at noblemania.blogspot.com. -Bio taken from here. I am giving away one copy of Bill the Boy Wonder. 1. The giveaway will run from August 12 to 11:59 PM on August 15. Marc delivered a TED talk on Bill Finger. Download the Bill the Boy Wonder discussion and activity guide. You’re Bill Finger. Bob Kane just presented you with his costume design for a new character called Batman, but it doesn’t seem quite right to you. Redesign Batman’s costume and email your drawing, along with your name, age, and address, to trademarketing@charlesbridge.com, or mail it to Charlesbridge Publishing, Bill the Boy Wonder contest, 85 Main Street, Watertown, MA 02472. Five winners will be selected to win a copy of Bill the Boy Wonder signed by the author. PLUS! The winning designs will be displayed right here on the official Bill the Boy Wonder website. Submission deadline is October 1, 2012! Marc put together a gallery of authors and illustrators dressed as superheroes. You MUST check it out. Bill the Boy Wonder: The Secret Co-Creator of Batman. By Marc Tyler Nobleman. Illustrated by Ty Templeton. Charlesbridge, 2012. Interest level: grades 4-7.